Sift the flour, sugar, salt, and baking soda into a mixing bowl. Mix the egg with the buttermilk and vegetable oil in a large pitcher. 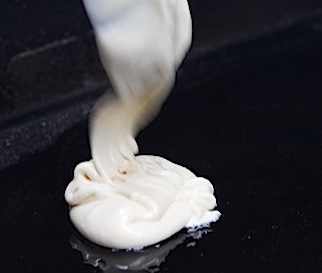 Add to the dry ingredients, beating to a smooth, creamy batter. Let stand for at least 30 (or as much as 2 hours). 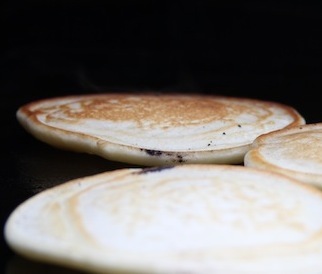 Preheat your Yoder Smokers YS640 (or other grill) to 350°, placing your griddle on the grill. 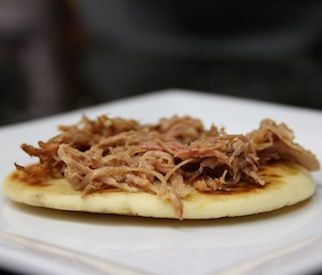 Brush vegetable oil onto the griddle and pour batter in 4-inch circles. Cook for 1 1/2 - 2 minutes per side, or until golden brown. Cook for 1 1/2 - 2 minutes per side, or until golden brown. In a saucepan, combine all of the syrup ingredients and bring to a boil. Reduce the heat to low-medium and let the syrup bubble gently until it is a smooth syrup like consistency. 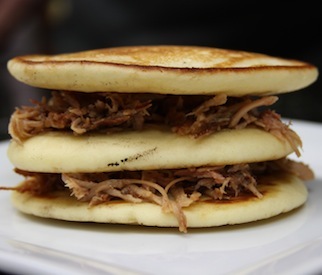 Layer the pancakes and pulled pork three high and pour the Jack Daniels Syrup over the top. Enjoy! * Make the syrup just before serving to ensure it doesn't cool too much.